The increased complexity of web apps may even outpace the mobile capabilities of devices. Increased traffic on sites supported by a server — whether it’s shared or cloud-supported — means more expenses for the business. 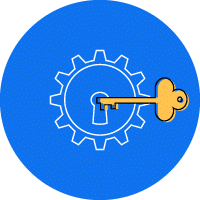 Applying ASP.NET bundling and minification to these files helps development teams and their clients to overcome these problems and create impactful web pages for more platforms. What is ASP.NET Bundling and Minification? Bundling and minification are two techniques enabled by ASP.NET, an open-source tool for building services and web apps using .NET. ASP.NET Bundling is a simple feature that makes it easier to combine multiple files into one, while minification is a process whereby code in a script or CSS file is optimized. Why are these two steps so important? 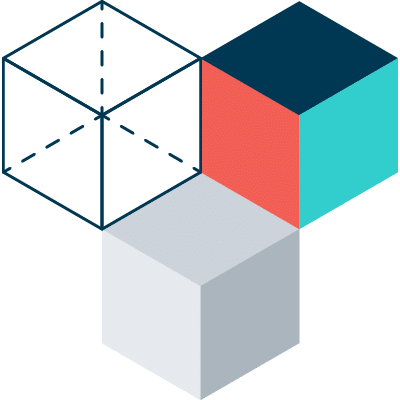 Every developer aims to structure code to make it more readable and reusable. ASP.NET bundling and minification techniques help to reduce the number of requests made to the server and the size of requested assets. Bundling and minification ultimately reduce the request load time. ASP.NET bundling and minification techniques used to be applied to a file in App_Start called BundleConfig.cs. A method called RegisterBundles in ASP.NET was used to create, register and configure bundles. While this approach looks easy to use, it’s no longer applicable in ASP.NET 5. Why? The problem with that ASP.NET bundling approach is that those files increase run-time on the web server. Caching the files from big applications compromises memory capacity and processor capabilities. Gulp and NPM became the default tools for bundling and minifying files when ASP.Net Core was first made available to users. What are Gulp and NPM? Bind the Gulp tasks to different actions within Visual Studio, so that whenever there is a change in scripts and styles, the compilation will automatically run to be reflected in your browser. Compile all of the third-party dependencies. Compile all of your scripts and LESS files. Put a Gulp.watch running against the Front-End folder to auto-recompile. This required function imports each module so that the dependent tasks can utilize their features. Each of the imported modules is assigned to a variable. The next step after importing the required modules is to specify the tasks. First, clean the old minified versions, then execute the task that minifies and concatenates all versions. 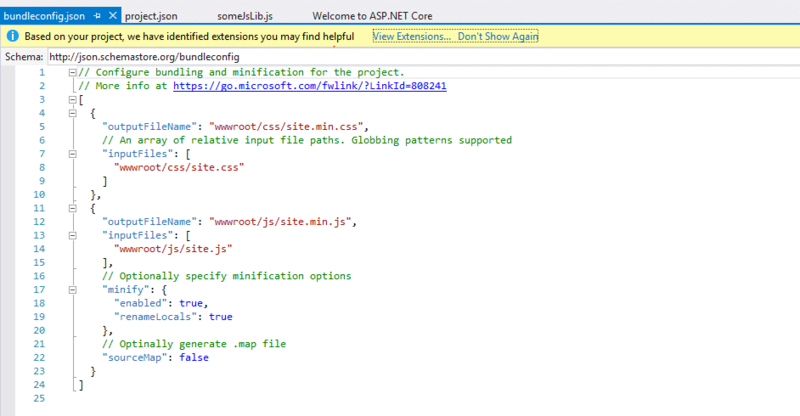 A new Visual Studio extension called BundlerMinifier replaced Gulp as the default tool for ASP.NET Bundling and minifying in ASP.Net Core. Gulp must be added manually to ASP.Net Core for those who want to continue to use it. 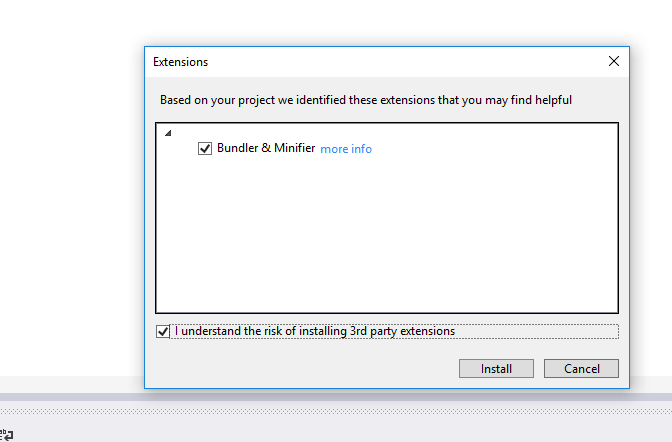 Start by downloading and installing the BundlerMinifier extension by Mads Kristensen. Visual Studio will ask you to install it when when you create a new project in ASP.NET. "outputFileName": "wwwroot/js/site.min.js", "inputFiles": [ "wwwroot/js/site.js"
There is an option to convert to Gulp. This feature makes it easy to start using Gulp based on what’s already configured in bundleconfig.json. Choosing this option will create Gulpfile.js and package.js if they don’t already exist, and then install the needed node modules using npm. The Gulpfile.js will consume bundleconfig.json to get the input and output file paths, but will use regular Gulp plugins to do all the bundling and minification. You can modify it to use other plugins without losing its ability to read the bundleconfig.json. In conclusion, Bundler & Minifier is an effective tool that simplifies the process of enhancing System.Web.Optimization through the ASP.NET Bundling and minimization of your files. But if your case requires more advanced processing, choose Gulp. Lyubomir applies his passion for mathematics and deep analysis to his work as a developer at MentorMate. He leads his teams through Agile sprints consulting with clients and building a solid project foundation. A highlight of Lyubomir’s work is the continued contributions he and his team have made to one of MentorMate longest and largest engagements. With previous development experiences in companies across Europe, Lyubomir’s collaborative spirit transcends cultures. 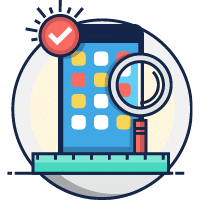 The proof is in the powerful results that MentorMate’s development teams deliver.